NBC 6's Darryl Forges has the latest on the new effort from survivors of February's deadly Parkland shooting. A day after graduating from high school, a group of Florida school shooting survivors announced a multistate bus tour to "get young people educated, registered and motivated to vote." 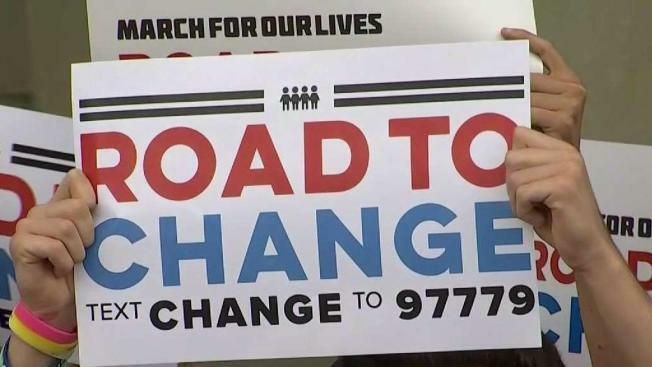 Students from Marjory Stoneman Douglas High School in Parkland, Florida, announced the kick off to the March For Our Lives: Road to Change on Monday. A gunman killed 17 students and faculty at the Florida school on Feb. 14. "So many local and state laws have been passed to make people safe around the country, but it hasn't been enough," said Cameron Kasky, one of the organization's founders and an outspoken advocate of the student movement since the shooting. A news release sent Monday says the tour will begin June 15 in Chicago, where the Florida students will join the Peace March, led by students from St. Sabina Academy. So far, 75 stops in more than 20 states have been planned - including each congressional district in Florida. The news release says a separate Florida tour will make more than 25 stops, visiting every congressional district.